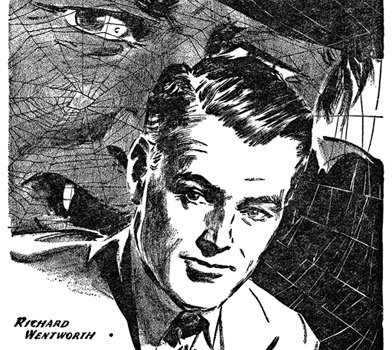 A horrific, yet heroic figure blazed his way through Pulp Fiction and a legion of Depression-era supercriminals. For ten grim years, the Spider battled the underworld, imprinting his scarlet seal on the bodies of the criminals he slew. The bloody, over the top exploits of the Spider are now available as high quality audiobooks from Radio Archives. The complete series of 118 novels are being released with a new audiobook every two weeks. 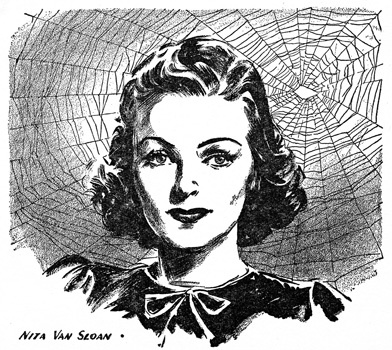 These thrilling stories of the Spider are performed by voice actor Nick Santa Maria. While the Spider borrowed his black slouch hat and cloak from the already thriving Shadow, the rest of the character was significantly different. The Spider stories are all about action, emotional intensity, and pacing. Wentworth himself is strongly emotional, plumbing the thrills of victory as readily, and as deeply, as the depths of despair during his escapades. His long-suffering fiancée, Nita van Sloan, is a worthy character in her own right, though frequently relegated to the traditional role of hostage-bait. As additional exotic spice, Wentworth maintains a Sikh manservant/warrior companion, Ram Singh, as well as chauffeur Ronald Jackson, the sergeant from his old army days. Rounding out the cast of characters is Commissioner of Police Stanley Kirkpatrick, Wentworth’s staunch friend and the Spider’s greatest adversary; Kirkpatrick himself lives in a state of constant angst for fear that duty will one day force him to send his friend to the electric chair as punishment for the Spider’s crimes. And indeed, that fear nearly becomes fact on several occasions. The stories plunge along head-first aboard an emotional roller-coaster, with scarcely a moment’s pause for respite. 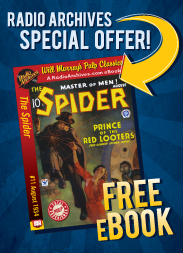 Oriental death-traps, treacherously alluring women, and rabid, machine-gun toting gangsters are all part of a typical day for the hero; Wentworth is frequently suspected of being the dreaded Spider, his home is periodically destroyed, his servants and friends tortured. His fiancée, at one point, even faces horrible death at the hands of an amorous orangutan!